Lynda Gratton has just co-written The 100-Year Life – the most thought-provoking book I’ve read this year – with the economist Andrew Scott. She is Professor of Management Practice at London Business School, among many other activities. Born in Liverpool, she did a degree and PhD in psychology there, and tells me that she still sees herself as a psychologist. I was looking forward to hearing more from someone with strong views on the future of work. Early in the book it states that ‘a child born in the UK in 2007 has a 50 per cent chance of living to be 103. In every decade since the 1840s, life expectancy has increased on average by two to three years.’ Discussion of ageing often revolves around continual reference to the pensions crisis, the incidence of dementia and stark ‘warnings’ that we’re all going to have to work longer. So much for earlier visions of leisure-filled decades of retirement! But Lynda and Andrew try to give a positive account by stressing longevity rather than end-of-life issues. The book, which has received huge media coverage, suggests that the models we’re using are based on a 70-year life. Some of them, such as the three-stage education–work–retirement model, were created by social forces in the 19th century. This doesn’t (and can’t) work for an 85-year life, let alone one of a century and more. So Lynda and Andrew’s book starts to rethink a lot of seemingly given structures, looking not just at traditionally hard issues but at the transformation of personal relationships, the increasingly reduced relevance of chronological age in work, and social networks and the issue of health. What route led to Lynda co-writing this book and (as I found) to her other activities? Two of her other interests are travelling and writing. ‘I’ve always travelled. When I was younger I hitchhiked through Syria to research children in kibbutz in Israel. My work is increasingly international. I’ve recently been to Rwanda and North Korea for instance. But I also love writing and have always written, not just when I’ve been studying or teaching.’ More of this later. 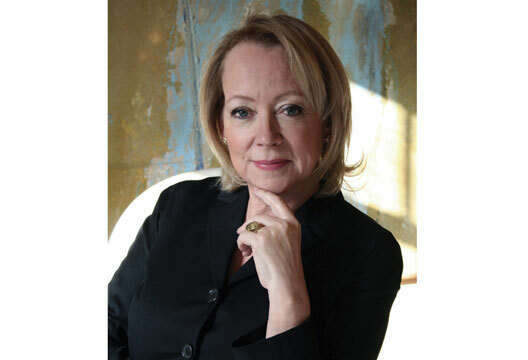 Lynda Gratton’s achievements are too various to describe in detail. She directs what is considered the leading programme on HR in the world – Human Resource Strategy in Transforming Organisations – and is on the School’s governing body. She was awarded the Lifetime Achievement Award by HR Magazine, in 2013, and was amongst the 15 top thought leaders in the Thinkers50 ranking. She is a Fellow of the World Economic Forum. She’s written eight books on issues as diverse as new ways of working and how the changing world affects employment. But I was particularly interested in the Hot Spots Movement. ‘I received a significant grant from the Singapore Ministry of Manpower to study performance and creativity of teams. We collected data from 150 teams in Europe and Asia, and that led to the framing of the idea of “Hot Spots”. These are, put simply, the areas in any sort of organisation from a country to a business where collaboration creates superb creativity and innovation which will really improve performance. I now have around ten people working in the group, based in offices at Somerset House. We bridge research and consultancy and are particularly fascinated by how organisations can react to and prepare for the future. be prepared to work hard, to build your craft and keep your options open’. See www.lyndagratton.com and www.100yearlife.com for more insights into Lynda’s life and work.